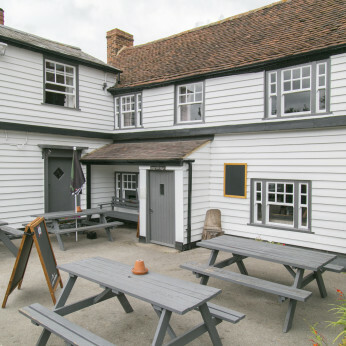 A beautiful 500 year old weatherboarded pub tucked just away from the River Crouch waterfront in a quiet location. We serve traditional Pub food with a Specials Board also available. We have 6 newly refurbished rooms offering three Twin Rooms and three Double Rooms. Furthermore, one of our rooms are Dog friendly and we also have a Room designed for Disabled customers. We can cater for Large Parties and Private Functions. Our kitchen will be closed on Tuesday 29th May 2018 due to maintenance work. We will be serving baguettes but no hot food. Sorry for any inconvenience caused. After our first Steak night on Thursday we are pleased to say it was a rousing success. Thank you to all of you that came down. The reports back were great everyone enjoyed their steaks. this may bank holiday Sunday we have live music and a bbq, why not come down and enjoy a ice cold beer in our stunning bear garden!